Guest celebrity judges Colin McAllister and Justin Ryan join Emmy® nominated actor and host Cameron Mathison on the Game of Homes premiere on W Network Tuesday, April 28st at 10 p.m. ET/PT. The Vancouver-based series follows four teams of two amateur home renovators as they compete for the prize of a lifetime – a house and a plot of land to put it on. Four teams of amateurs transform four tear downs into their dream homes in Vancouver in their pursuit of a once in a lifetime final prize. The show features contestants with larger-than-life personalities for whom this prize means a lot more than just a great renovation, it will truly be life changing. The action-packed series pits each team’s skill, ingenuity and teamwork against each other. 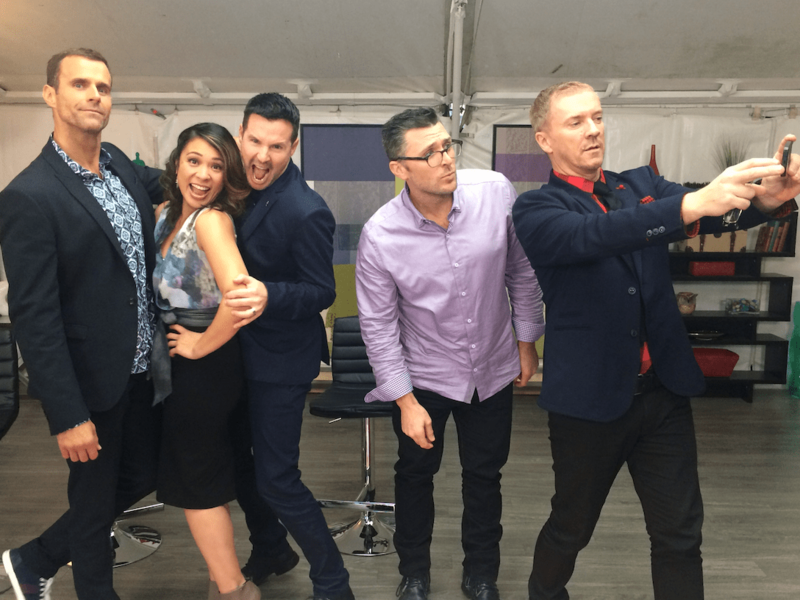 Every week, two expert judges, Cheryl Torrenueva (Home To Go, Restaurant Makeover) and Jeremy MacPherson (The Re-Inventors) assess the design and workmanship of each team’s room transformation and each week they are joined by a celebrity guest judge. With the interiors finished, Cameron gives the teams four days to attach and transform the exterior of their houses and an extreme facelift to their properties. 60-year-old stucco and shingles make way for 21st century roofs, siding and windows. None of the teams have ever renovated an exterior, and their inexperience brings injury and mistakes. You can easily repaint a room, but a wrong choice on exterior cladding will last a lifetime. Front-runners lose momentum and the harsh criticism of the judges proves too much for some. Yes we can confirm this statement. 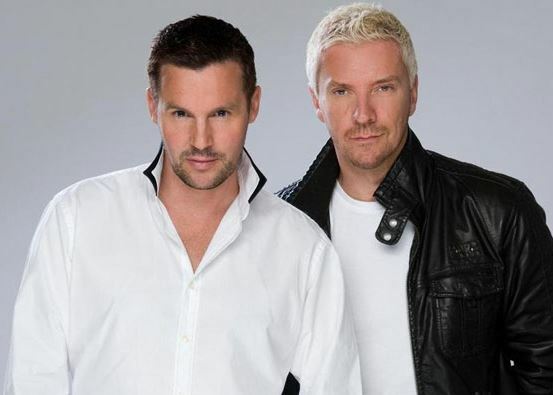 Colin & Justin are well known interior designers, style commentators, Hollywood celebrity interviewers and all round lifestyle gurus who hail from Glasgow. The television shows that Colin and Justin host airing world-wide including BBC, ITV shows Million Pound Property Experiment, Trading Up, The Estate, Colin and Justin’s Wedding Belles, How NOT To Decorate, 60 Minute Makeover, Home Is Where The Heart Is, This Morning, I’m A Celebrity, Get Me Out Of Here, HGTV’s Colin and Justin’s Home Heist, Cottage Life Network’s Colin & Justin’s Cabin Pressure. They’re also resident design experts on City TV’s Cityline and Breakfast Television and regularly featured on UK chat shows and Entertainment Tonight Canada. They are annual Toronto Film Festival Red Carpet reporters. Past interviews include Madonna, George Clooney, Ryan Gosling, Hugh Jackman, Bradley Cooper, Jennifer Lawrence, Jared Leto, Channing Tatum and Christopher Walken. Their newspaper columns appear weekly in Canadian newspapers, the Huffington Post Canada and magazine columns in Reno and Décor, Niche and Cottage Life Magazine. As entrepreneurs they have a growing portfolio of rental properties spread between Toronto, London and Glasgow. Colin and Justin Home is affordable everyday luxuries.’ available across the UK, Canada and the USA. As regular guests in various North American and UK ‘live event’ home show/exhibitions, they appear in person to dispense homes and interiors advice. This entry was posted in Game of Homes and tagged 2014, 2015, ABC, Application, Blair Reekie, blog, Buying, Cameron Mathison, Canada, casting, Drew Scott, Episodes, Executive, family, filming, Friends, Game of Homes, Good Morning America, Great Pacific Media, Great Pacific Television, Highway Thru Hell, host, House, Interior Design, Jonathan Scott, Lesley Diana, Love It or List It, Mark Tiu, Media, photography, press, prizes, producer, Property Brothers, real estate, Renovation, Selling, television, The Promotion People, Todd Talbot, TV, Undercover Boss, Untold Stories of the ER, Vancouver, W Network on April 27, 2015 by press.